Protests rallies,demonstrations and majalis-e-tarheem are being held countrywide by various quarters of Millat-e-Jaffaria Pakistan to express solidarity with martyrs of Saneha-e-Hazarganji Quetta and to condemn continuing attrocities against momineen in the form of Targetted attacks across the country as well as illegal abductions or enforced disappearances of scores of momineen from the country in the name of 'law enforcement' ,in brazen violation of fundamental constitutional rights . 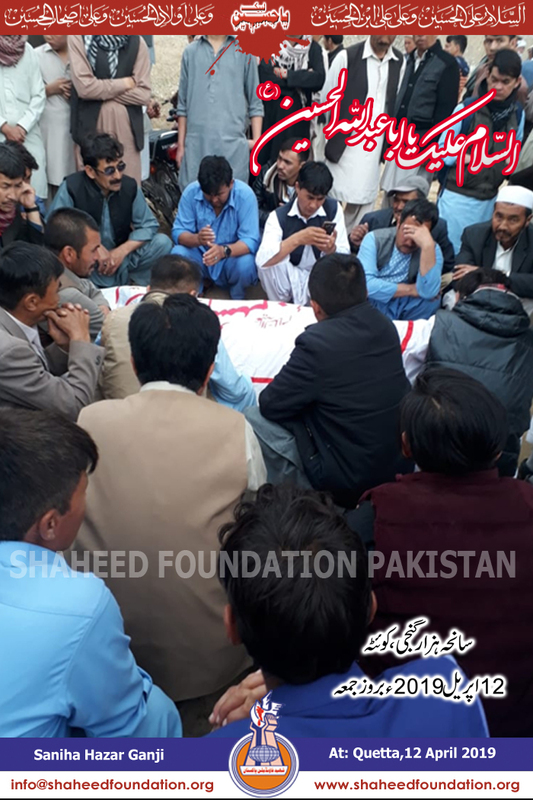 In Quetta ,moving scenes were witnessed as heart rending cries of the acquaintances and family members turned the whole environment sombre as the martyred momineen were lined up for burial . The beautiful Bahisht-e-Zainab cemetery reverberated with echoes of Labbayk Ya Hussain, the place perhaps being ,the only island of peace for the marginalized Hazara Shia muslims,as it has come to become over last decades marred by the terror attacks orchestrated by Lashkar-e-Jhangvi,Sipah-e-Sahaba,Jundullah and other such takfiri outfits hailed as strategic assets . Earlier a press conference by Majlis-e-Wahdat ul Muslimeen in Quetta led by Allama Hashim Moosvi strongly condemned the attack. 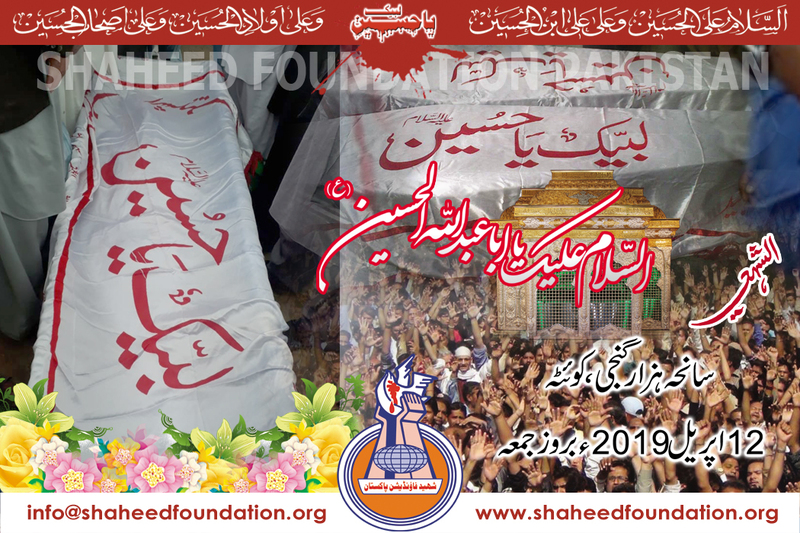 Central President Imamia Students Organization Pakistan Brother Qasim Shamsi flew in to Quetta ,representing the mainstream sentiment of solidarity and love of the entire Millat-e-Jaffaria Pakistan for Khanwada-e-Shohada-e-Saneha-e-Hazar Ganji Quetta. 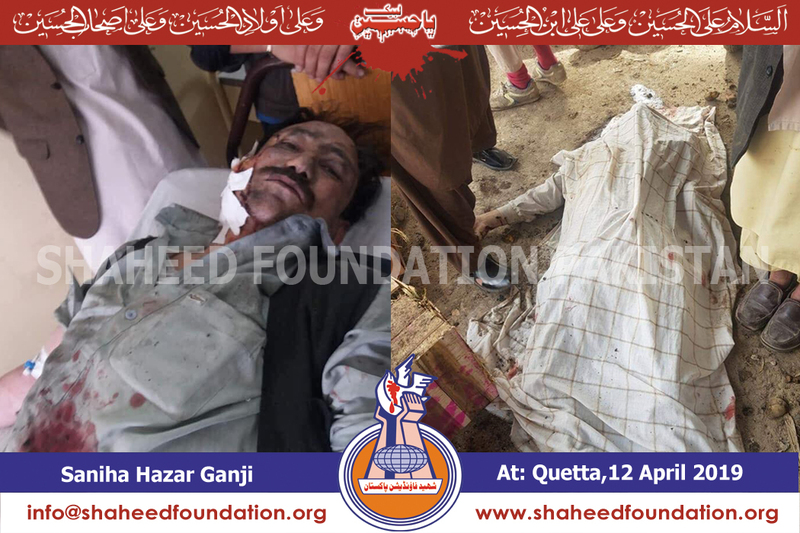 Allama Sajid Ali Naqvi President Shia Ulema Council Pakistan and Allama Ramazan Tauqir vice president Shia Ulema Council Pakistan strongly condemned the attack and expressed their solidarity with Khanwada-e-Shohada-e-Saneha-e-Hazar Ganji. Provincial Presidents of Shia Ulema Council Pakistan also expressed their dis-may over the horrific tragedy and showed deep solidarity with the aggrieved families in their statements. Allama Raja Nasir Abbas Jafri General Secretary Majlis-e-Wahdat-ul-Muslimeen Pakistan accompanied by Brother Nasir Abbas Sherazi and Allama Ejaz Beheshti had left for Quetta earlier in the day to convey condolences to the families and express solidarity. 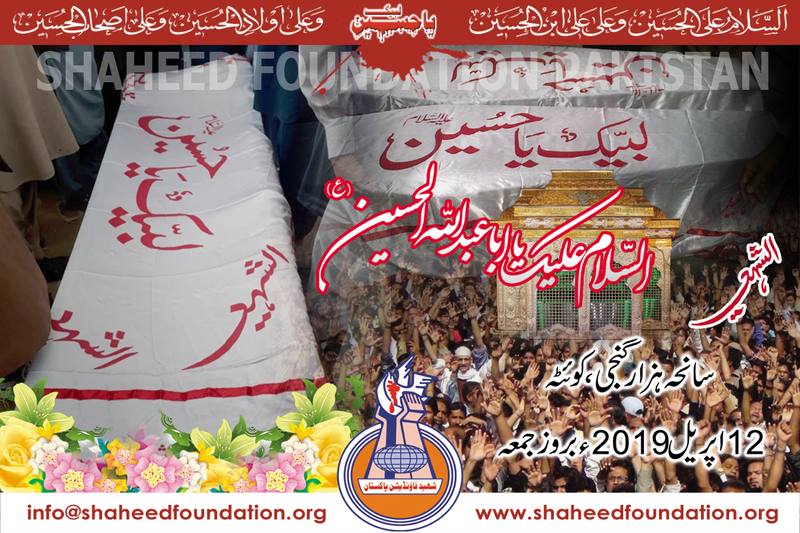 Allama Syed Jawad Naqvi and other Ulema-e-Karam from across Pakistan also strongly condemned the continuing trend of terrorism against Millat-e-Jaffaria in majalis and friday sermons. On call of Brother Qasim Shamsi ,Central President ISO ,protest rallies and demonstrations being staged in all big cities right across Pakistan. 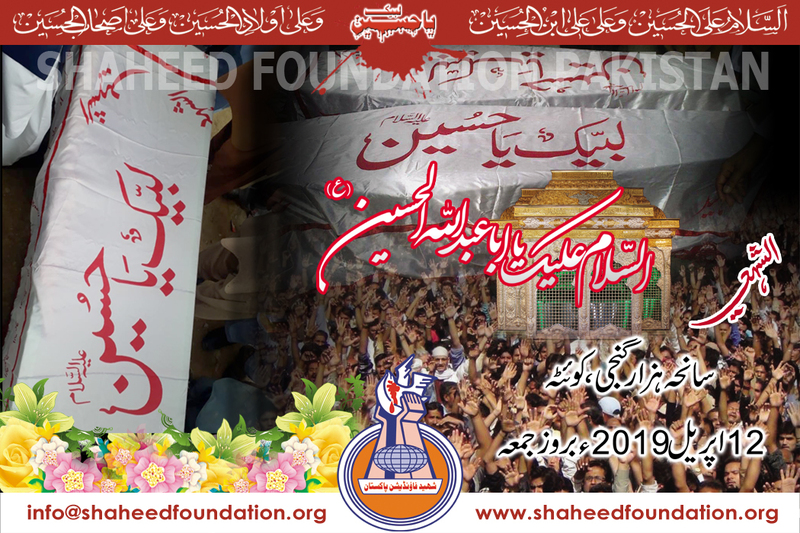 In Karachi the main demonstration will take place in front of Karachi Press Club at 3:30 pm to draw the attention of the ruling elite towards unabated attacks on Shia muslims across Pakistan and issue of illegal abduction of missing momineen in the name of 'law enforcement' in blatant violation of law of land. In Islamabad the main demonstration will be held at Islamabad press club @ 430 pm. In Multan and other cities protests are being held too . 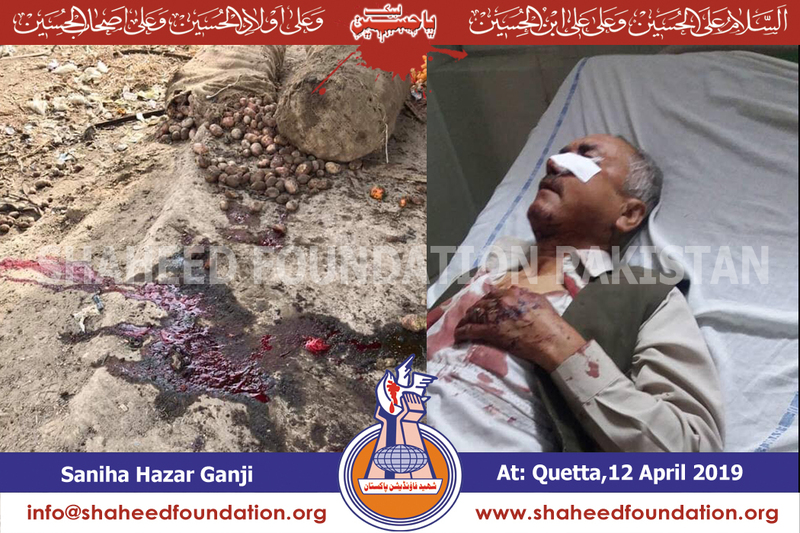 Quetta was bloodbathed again as a powerful blast ripped through the Hazarganji market ,this morning it was learnt martyring at least 20 people and injuring another 48 . 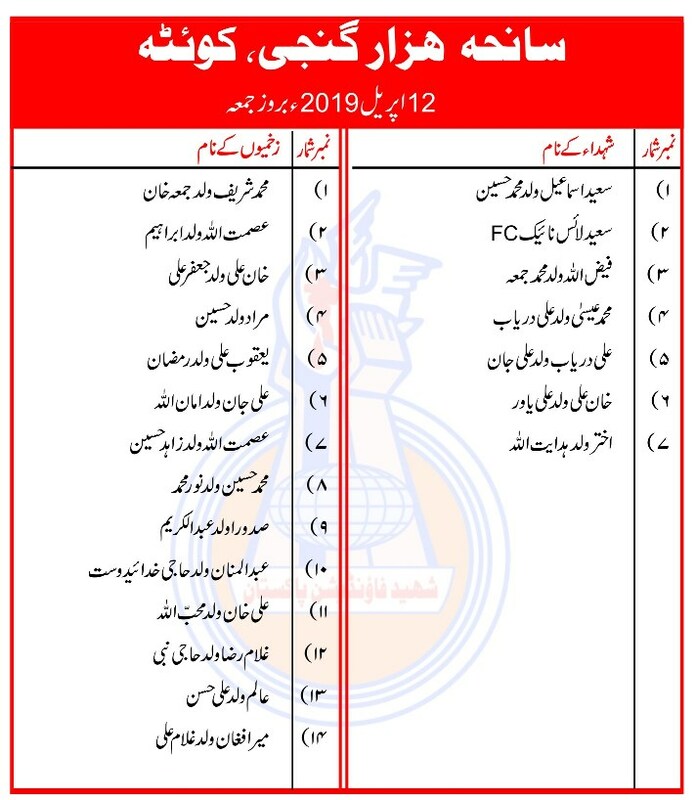 At least 8 are stated to be Hazara Momineen while the other martyrs include FC personnel as well as local shop owners and residents. Momineen blocked western bypass to stage protest,it was learnt. 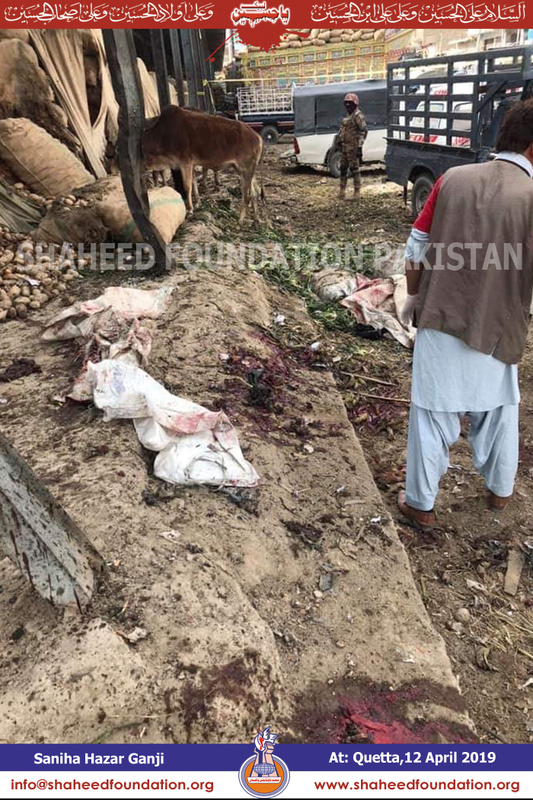 The tragic incident in Quetta comes at a time when the targetted attacks on momineen right across all parts of Pakistan are gaining momentum again in a rapid and sure manner . The phenomenon of illegal abductions of momineen at the hands of plain clothed men in the dead of night ,in brazen breach of sanctity of four walls, to terrorize the Millat-e-Jaffaria Pakistan into submission has also emerged as a challenge which is spreading a very large scale resentment and a sense of marginalization within the millat. It is interesting to note that at a crucial juncture when the scourge of notorious ISIS is lurching on our western border with Afganistan and at a time that our country is already facing myriads of challenges on multiple internal and external fronts,our pseudo strategists still continue their traditional experimentation of pitting one set of people against the other to achieve the nefarious objectives of their imperial masters in sheikhdoms and west. 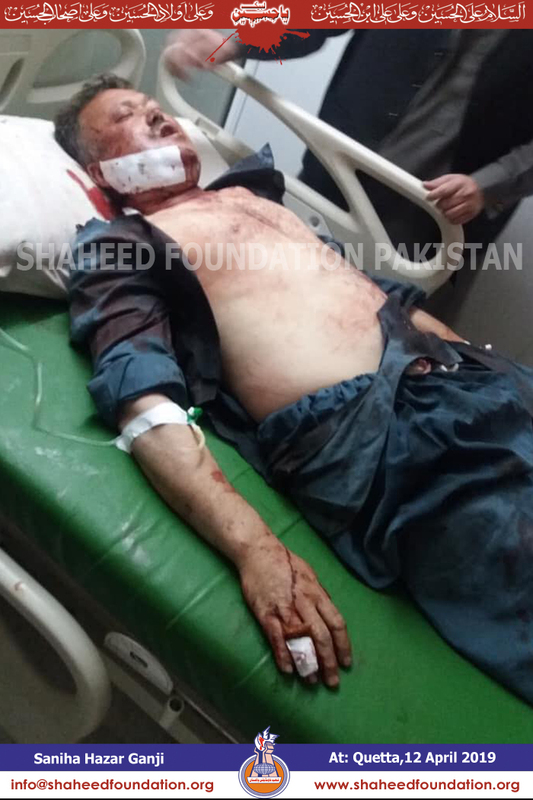 Only recently a known terrorist from LeJ Ramzan Mengal ,some one who in public rants proudly and unashamedly claimed shia killings frequently in a celebratory manner ,was released in Quetta with pomp and glory and consequently this attack . Much on the same pattern,one recalls,Malik Ishaq and other figures of LeJ were 'lionised' as nation's heroes before being dumped in cold blood after they outlived their utility . The lopsided policy of harbouring and patronising terrorists of one hue for using them against those of others', could neither contain sectarian attacks on shia muslims which weren't though a consideration either from the very outset with the way cold blooded murders of momineen were allowed through the last 40 years or so and nor could this flawed policy contain the ethnic insurgencies especially speaking in Balochistan's context. 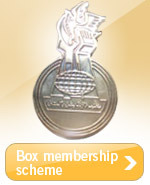 Rather it only resulted in increasing a sense of deprivation in marginalized sections of the society and spilling blood of scores of thousands of innocent Pakistanis including FC personnel,Levies ,Police and armed forces in terrorism related incidents ,as they had to pay the price of mind boggling policies of small minds in big offices,in the name of 'national interest'. It is an established fact in the modern world that terror and suppression is no longer the solution,rather peaceful co -existence,dialogue,discussion,negotiations and political settlements of outstanding disputes is. Neither non-government groups nor the governments anywhere on earth have been able to succeed in real terms on a sustainable basis by using terror as a tool,howsoever hard they have tried,contemporary world's history is a witness to this fact. Even countries with a history of bitterness like south and north korea,east and west germany are trying to extend olive branch to each other,it is beyond imagination,why on earth would it not work in our context,if we educate our masses to shun the path of slitting open fellow brethren and countrymen in the name of religion,sect,province and nation. It is high time that the people at helms of affairs wake up from their deep slumber and put an end to crises in supreme national interest through constructive 360 degree political dialogue and public participation rather than using divide and rule policy to further complicate the situation. Our hearts especially go out to the families of martyrs of civil and military law enforcement agencies as well as paramilitary forces /scouts whose young soldiers and officers fought the menace of terrorism especially in the most difficult internal ops where the faceless enemy was hitting the national fabric with reckless abandon from all quarters. 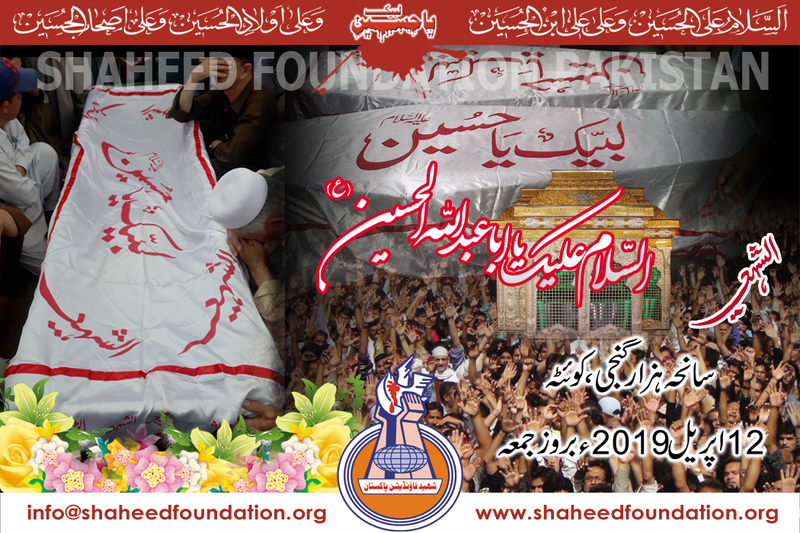 We pay our heartfelt condolences to all the families of Shohada-e-Millat-e-Jaffaria Pakistan,which is the largest section of society to have continuously braved and defeated terrorism orchestrated by global arrogance and her stooges in the fabric of the society for over four decades now. This sombre day reminds us,that despite all out efforts by our enemies to marginalize and silence us into oblivion through concerted multi-pronged efforts,including terrorism, hate-mongering ,illegal abductions in the form of enforced disappearances and other systematic deliberate efforts for exclusion from the national mainstream,Millat-e-Jaffaria Pakistan,continues to remain an ever dynamic,integral and influential part in the process of nation building . Alhamdulillah the millat continues to rise and shine despite all the challenges ,on the fore-front of every section of the society as well as in the national mainstream. Labbayk Labbayk Labbayk Ya Hussain[AS]! 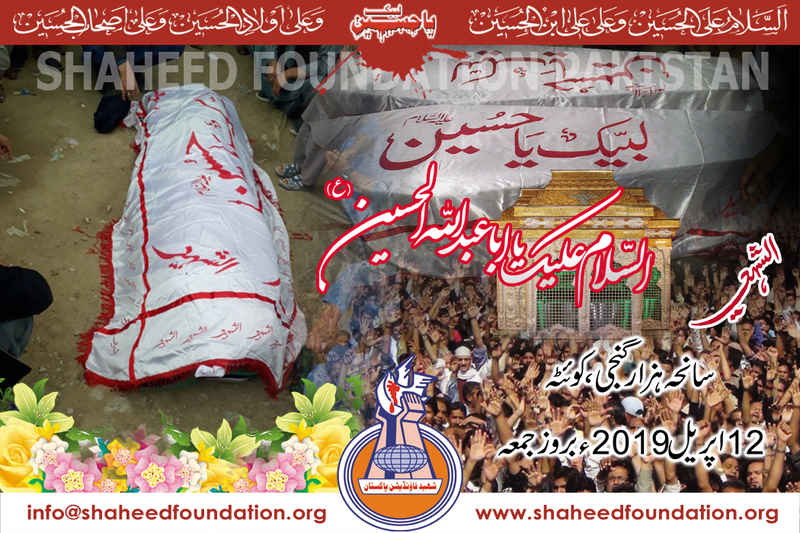 Please recite a fateha for all martyrs of today's blast and Shohada-e-Millat-e-Jaffaria Pakistan. Please pray for early recovery of all injured.